For driving lessons in Oxted, look no further than The Learning Curve. Established in Oxted 23 years ago, The Learning Curve School of Motoring and Approved Driving Instructor (ADI) Bob Hart have trained, encouraged, and helped hundreds of new drivers to pass their "L" test. With many continuing to develop their driving skills with the Pass Plus course and Advanced Driver courses. Typically pupils/customers live or work in the Tandridge district council area of South East Surrey. Since qualifying as an ADI, Bob has trained literally hundreds of new drivers, of mixed abilities and backgrounds. Bob takes candidates to test, usually in Reigate or Sevenoaks, and occasionally further afield. 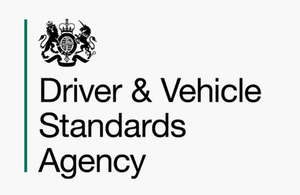 The tests are conducted by the Driving Standards Agency (DSA). Having lived in the area all of his life, Bob knows the Highways and Byways of East Surrey (and surrounding area) pretty well, and having taken well over a thousand new drivers to their tests, he knows only too well what is expected of them. Teaching car control and the "rules of the road" is a small part of the skill required of a successful ADI. Patience and encouragement are vital additions which Bob brings to every lesson. If you take driving lessons with The Learning Curve, you will be driving a top of the range Vauxhall Corsa 1.3L DTI, air conditioned and fully equipped with dual controls for your safety and comfort! Lessons are of one full hour (sometimes we use a double lesson, or even a 1½ hour lesson depending on the subject). Each lesson starts and finishes at your home (or somewhere in the Tandridge District area), and can be arranged Monday to Saturday for weeks (or months) in advance. If circumstances change, lessons can be rearranged! Each hourly driving lesson can be paid for at the time of the lesson, or we offer a special deal by which you pay for ten lessons and receive one hour free of charge. Also at no cost to you, The Learning Curve will book your practical driving test (you will be charged the DSA standard fee) and on the day of the practical driving test you will have a 1½ hour lesson before the test (there is also a fee for the use of the School car for the test). Hi. Thanks for taking the time to look at my Driving School information. I have tried to include a little about everything without "going on" too much (I hope). I am sure that you still have some questions! Well how-about giving me a call. You can use my land line or my mobile number. . . . But lets talk, its easier!